Before Lin-Manuel Miranda read Ron Chernow’s biography of Alexander Hamilton and proceeded to write a smash musical about it, thereby boosting himself to lofty levels of fame and Twitter influencer-dom and changing his life forever, he was the man behind another hit Broadway show: In The Heights. He’s fielding a highly anticipated movie adaptation of the 2008 musical, the original concept for which he developed while still in college at Wesleyan University. Now, the film has a release date: In The Heights is set to hit theaters on June 26, 2020, according to TheWrap. 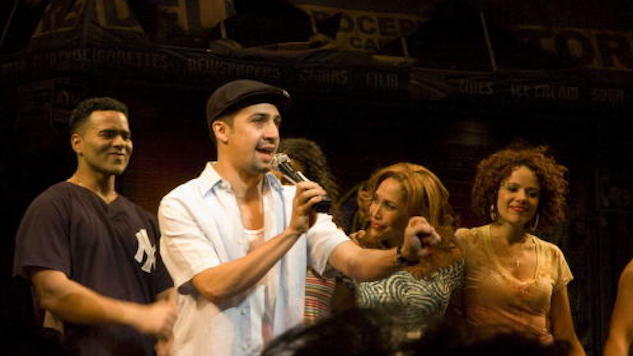 Miranda wrote both music and lyrics for the Tony Award-winning show, and he also played the main character Usnavi in the original production. Warner Bros. came out on top after an intense bidding war for the film production rights, one that heated up following Miranda reclaimed the rights from the disgraced Weinstein Company. Quiara Alegría Hudes, who wrote the original book for the musical, is signed on to write the script. Miranda celebrated the finiteness of all in a tweet, below. In The Heights was also a finalist for the Pulitzer Prize for drama. The story of a New York City bodega owner, the musical comes alive through the stories of Usnavi’s neighbors. While we’re on the topic of Lin-Manuel Miranda, take a look back at “Paste’s compilation of his best moments.